Back in 2014, I was very interested in descrypt as a password-hashing algorithm. I started looking for ways to increase my hashrate. After I read about Positive Technologies cracking DES keys for SIM cards using old ZTEX 1.15y boards, I took a gamble that descrypt would not be far behind. 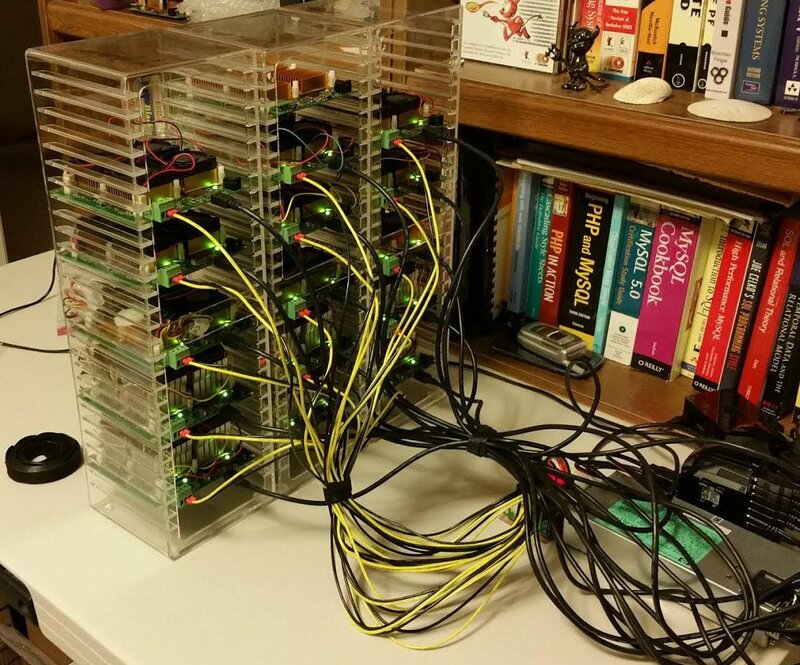 While the original German boards and their US clones are now next to impossible to find on eBay, etc., in 2015 the Bitcoin migration from FPGA to ASIC was wrapping up, so a few people were still selling these boards. In January 2015, I lucked out on an eBay lot of ZTEXes in one fell swoop (and then picked up a few more elsewhere). So I had the boards ... but no code to run on them. 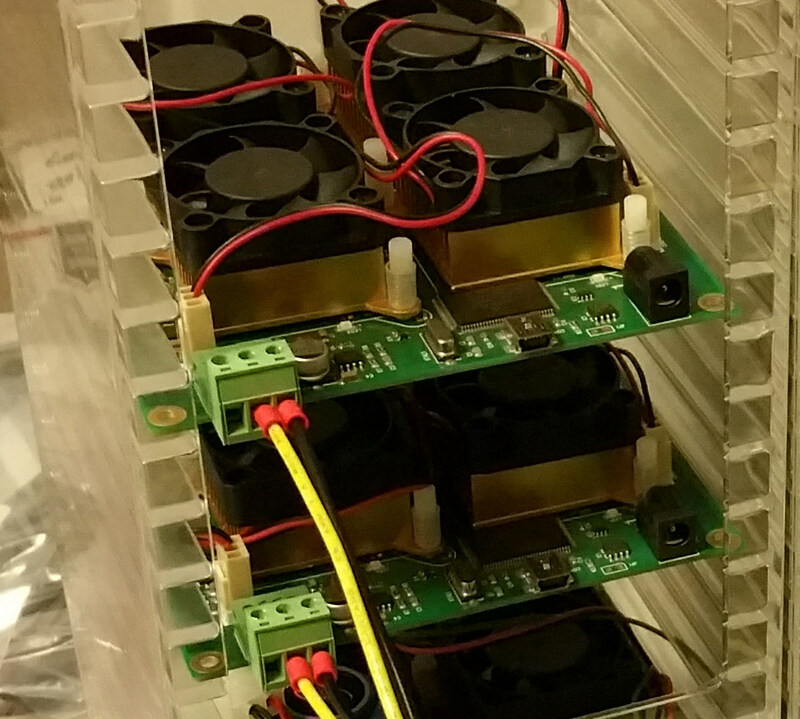 They sat in a box for almost two years - until November 2016, when descrypt(!) support for ZTEX 1.15y appeared in the community/"jumbo" version of John the Ripper! 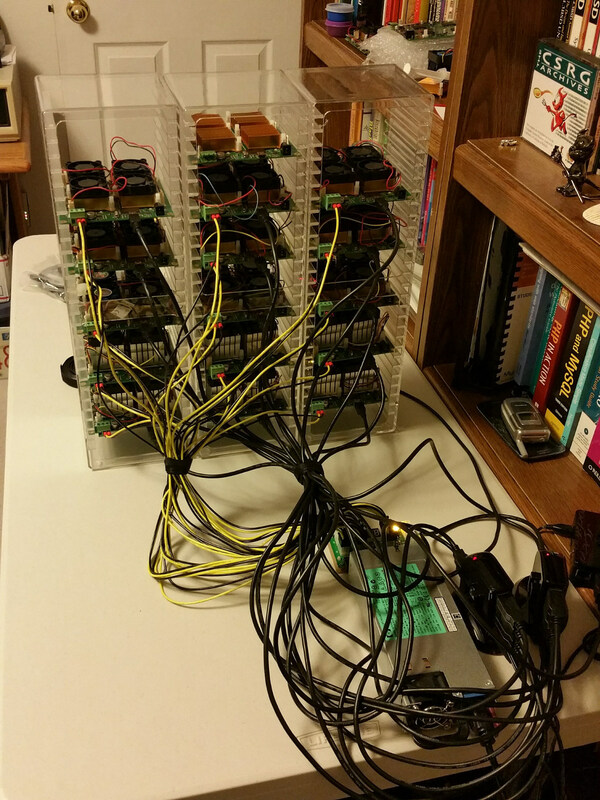 So I reactivated the project, and assembled the boards into a little homebrew cluster - powered by a Raspberry Pi. I use the cluster as part of my password auditing services, for password-hashing competitions such as Crack Me If You Can, and for general password research. None of this would be possible without Apingis' work on ZTEX support for the community/"jumbo" version of John the Ripper.